It can be so tempting to buy up all of the cutest baby clothes that you see. It is easy to justify since of course, your baby needs clothing, and it is always a joy to see how adorable your little one looks in a new outfit. However, babies grow out of clothes so quickly that it is really wasteful to stock up on too many clothing items, especially if they cost you a lot of money. 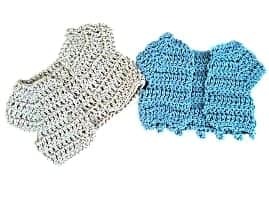 Crocheting your own baby clothes can be a great solution, allowing you to add unique, precious outfits to your baby’s wardrobe at a discounted price. 1. Shop around for the best price on yarn. 4. Remember crochet isn’t just for clothing. 5. Try selling your crochet clothing. w price. Crochet baby clothes don’t use up a lot of yarn since they are so small, so you are able to get a lot of mileage out of a single ball or two. 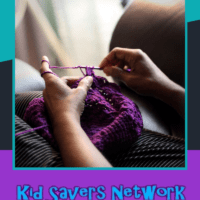 Unlike sewing and other crafts, crochet doesn’t require a lot of tools; a small set of affordable crochet hooks and the yarn and you are well on your way to making your own collection of kids’ clothes. You can find free and inexpensive baby crochet patterns online to help you create a variety of different designs. 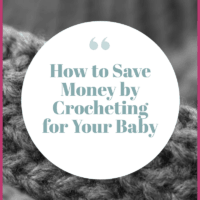 At this point, you might be thinking that even though you are saving money by crocheting your own baby clothes, you have to give up a lot of your time. We have all been told again and again that time is money. What is great about crochet is that you are getting a lot in return for the investment of your time. Crochet is an easy craft to learn and once you pick it up you’ll find that you can make baby clothes quickly. 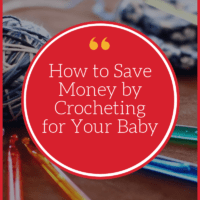 More importantly, the time that you spend crocheting can offer you a variety of benefits that go beyond just saving money. 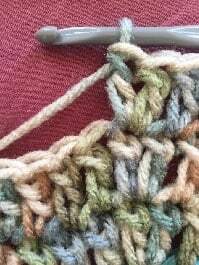 Crochet has been found to be therapeutic, especially for new mothers who might be stuck at home a lot, struggling a little bit in their new roles. A study also found it helped with depression and anxiety. Crochet gives you the feeling that you are being productive while at the same time serving as a means to deep relaxation. Moms have to take time out for themselves and stress-relief crochet is certainly one of the most affordable ways to get that sense of serenity! Making clothes for your baby by hand will provide so much satisfaction. Each item that you craft is one-of-a-kind, made by you just for your little one. This feature makes you want to use it more, and you may find as a result that you need fewer clothing items for your baby because the ones that you have are so special. Think about this: Whenever you take your baby out to meet up with friends and family, you want him or her to look cute. Often, this means putting on a new outfit. You don’t want your baby showing up in the same old onesie every time when it’s so much fun to get babies dressed up. If you buy all of the baby’s clothes, you might feel like you need to buy something new for every event. However, when you have special clothing that you’ve made by hand, you are happy to have your baby wear it over and over again until it’s outgrown. 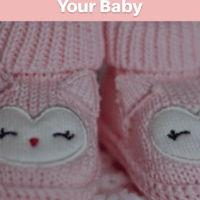 People will always comment on the cute handmade clothing, no matter if they’ve seen it before, and you will feel confident showing off your baby’s wardrobe in any setting. 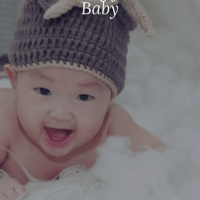 Not only will you get more use out of your crochet clothing than you would with cheap “throwaway” baby fashion, but you will also find that crochet baby clothes are very durable. They will last longer than those cheap outfits, even after many washes, as long as you make sure to crochet with washable baby yarn. So, you will want to dress your baby in the same outfit again and again and the outfit will last well enough for you to do precisely that, saving you money several times over. You want something that you can wash, something that will last a long time and something that’s affordable. Find a great yarn on clearance if you can! One of the best things about crochet is that it easily comes apart when you’re done using it so you can actually re-use the same yarn on a new project. Take any crocheting clothing that your baby has outgrown and frog it, using the yarn to make new clothing in the bigger size. Babies are often dressed in cute little clothes for holidays, their first Halloween and professional photos. Costumes can be expensive so turn to crochet for an affordable alternative. You can crochet everything from umbilical cord ties to rattles. Crochet baby blankets, hats and stuffed animals are great alternatives to pricier store bought items as well. You may find that you enjoy crocheting so much that it becomes a side job. 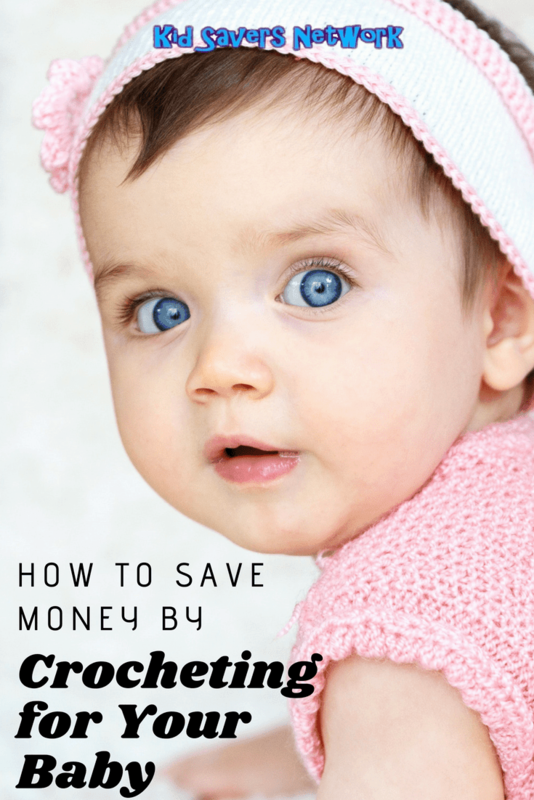 If you get creative with it, you may find crochet baby clothing makes you money instead of costing you! Crochet for Baby. This is a Pinterest board collecting patterns and inspiration for making items for babies. There are a lot of other terrific crochet baby clothing boards on Pinterest, too. How to Crochet a Baby Dress. This is a YouTube video for an easy crochet baby dress free pattern. Other great videos include one for a baby romper and another for a crochet baby sweater. Robyn Chachula’s 4 Best Tips for Designing Baby Sweaters. Get the inside scoop from this talented crochet designer. Want to start with something smaller than sweaters; try 6 Easy Ways to Make Heirloom Booties. Safety Tips for Crocheting for Your Baby. You want to make the best items possible for your baby and these tips can help you with that. 25 Ways to Save Money on Crochet. There are many things that you can do to save money on crafting. You may also want to check out tips for saving money on yarn. 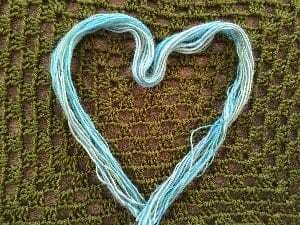 This was a guest post by Kathryn Vercillo, author of Crochet Saved My Life and blogger at Crochet Concupiscence.